In a large bowl, add the cornstarch. Make a hole in the middle and shape like a volcano. In the center of the hole add all other ingredients. Use your hands to mix all the ingredients. At first, you'll notice that the dough is very grainy, but don't worry, continue kneading with your hands until the dough is uniform and smooth (like clay), about 8-10 minutes. Preheat the oven to 350°F. Cover a baking sheet with greased parchment paper. Form cylinders with the dough, whatever size you like. The ones you see in the photo are about 1/2 by 2 1/ 2 inches. Place them on the prepared tray, leaving space between each cookie for them to expand. Use a knife to cut two small openings on the surface of each cookie. Bake for 10-15 minutes or until the bottom of the cookie starts to brown. You can give your cookies any shape you desire. If you notice that the dough is too tough or hard, you can add 1 or 2 tablespoons of water to soften it. 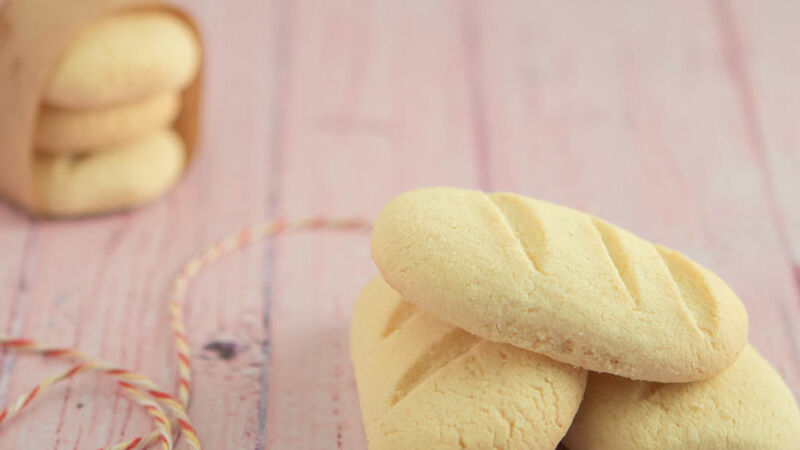 Oriana Romero You're not going to believe me, but almidoncitos are the first cookies I learned to make when I was about 10 years old, and they’ve been my favorite ever since. My neighbor and I used to prepare them together and sell them to our friends' moms. These cookies are the perfect gift during the holiday season, but really I don’t need any excuse to bake up a batch. What I love most is that when you eat them you can quite literally feel them melting in your mouth! My family loves them, including my son who’s quite picky about food. Try them out, I'm certain you’ll love them too!